*Thanks to Anne at Authors on the Web for sending me this ARC for review. I loved Wings and Spells, so I can't wait to find out what happens next. Goodreads says, "Laurel hasn't seen Tamani since she begged him to let her go last year. Though her heart still aches, Laurel is confident that David was the right choice. But just as life is returning to normal, Laurel discovers that a hidden enemy lies in wait. Once again, Laurel must turn to Tamani to protect and guide her, for the danger that now threatens Avalon is one that no faerie thought would ever be possible. And for the first time, Laurel cannot be sure that her side will prevail." *Thanks to Kaitlyn and S&S for sending me this one for review. I adore the classic Little Women, so this one is right up my alley. Goodreads says, "Vibrant, fresh, and intelligent, The Little Women Letters explores the imagined lives of Jo March’s descendants—three sisters who are both thoroughly modern and thoroughly March. As uplifting and essential as Louisa May Alcott’s Little Women, Gabrielle Donnelly’s novel will speak to anyone who’s ever fought with a sister, fallen in love with a fabulous pair of shoes, or wondered what on earth life had in store for her. With her older sister, Emma, planning a wedding and her younger sister, Sophie, preparing to launch a career on the London stage, Lulu can’t help but feel like the failure of the Atwater family. Lulu loves her sisters dearly and wants nothing but the best for them, but she finds herself stuck in a rut, working dead-end jobs with no romantic prospects in sight. When her mother asks her to find a cache of old family recipes in the attic of her childhood home, Lulu stumbles across a collection of letters written by her great-great-grandmother Josephine March. In her letters, Jo writes in detail about every aspect of her life: her older sister, Meg’s, new home and family; her younger sister Amy’s many admirers; Beth’s illness and the family’s shared grief over losing her too soon; and the butterflies she feels when she meets a handsome young German. As Lulu delves deeper into the lives and secrets of the March sisters, she finds solace and guidance, but can the words of her great-great-grandmother help Lulu find a place for herself in a world so different from the one Jo knew? Vibrant, fresh, and intelligent, The Little Women Letters explores the imagined lives of Jo March’s descendants—three sisters who are both thoroughly modern and thoroughly March. As uplifting and essential as Louisa May Alcott’s Little Women, Gabrielle Donnelly’s novel will speak to anyone who’s ever fought with a sister, fallen in love with a fabulous pair of shoes, or wondered what on earth life had in store for her." *I got this one half off down the shore at my favorite book store, Atlantic Books. It seems like a good beach read. Goodreads says, "From New York Times bestseller Elin Hilderbrand, a new novel set on Tuckernuck, a tiny island off the coast of Nantucket. Four women-a mother, her sister, two grown daughters-head to Tuckernuck for a retreat, hoping to escape their troubles. Intead, they find only drama, secrets, and life-changing revelations." *This one was also half off down the shore at Atlantic Books. 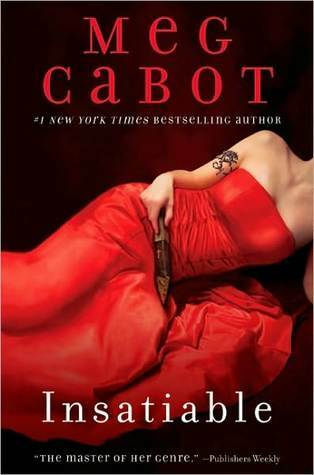 I've never read Cabot, but I think I'll start here with this one and Abandon. Goodreads says, "Sick of vampires? So is Meena Harper. But her boss is making her write about them anyway, even though Meena doesn’t believe in them. Not that Meena isn’t familiar with the supernatural. See, Meena Harper knows how you’re going to die (not that you’re going to believe her; no one ever does). But not even Meena’s precognition can prepare her for what happens when she meets—then makes the mistake of falling in love with—Lucien Antonescu, a modern-day prince with a bit of a dark side . . . a dark side a lot of people, like an ancient society of vampire-hunters, would prefer to see him dead for. The problem is, he already is dead. Maybe that’s why he’s the first guy Meena’s ever met that she could see herself having a future with. See, while Meena’s always been able to see everyone else’s future, she’s never been able look into her own. And while Lucien seems like everything Meena has ever dreamed of in a boyfriend, he might turn out to be more like a nightmare. " *Thanks to my B&N birthday gift card, I downloaded this one to my Nook. I plan to finish this addicting series in the summer, but I'm nervous as to how it will end! Goodreads says, "Old flames are reignited in the fifth and final book in the New York Timesbestselling Jessica Darling series. Captivated readers have followed Jessica through every step and misstep: from her life as a tormented, tart-tongued teenager to her years as a college grad stumbling toward adulthood. Now a young professional in her mid-twenties, Jess is off to a Caribbean wedding. As she rushes to her gate at the airport, she literally runs into her former boyfriend, Marcus Flutie. It’s the first time she's seen him since she reluctantly turned down his marriage proposal three years earlier–and emotions run high. Marcus and Jessica have both changed dramatically, yet their connection feels as familiar as ever. Is their reunion just a fluke or has fate orchestrated this collision of their lives once again?" I only have read Wings and I really enjoyed it. Those covers are so beautiful and shiny. I hope the third book is good. Have fun reading the books you got. *tries not to read the Perfect Fifths summary* I need the number four and that one. Haven't read the series yet. Insatiable was a great novel, even if it's an adult novel and I'm just a teen :) I loved the plot. 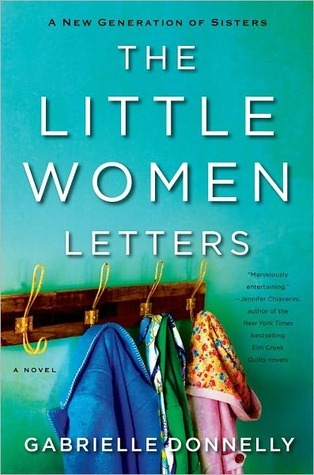 I have been wanting to read The Little Women Letters. I look forward to your review of it! I liked Insatiable though I did get annoyed by the protagonist and "love interest" at times but it was still funny and entertaining. I hope you like it too. All of those books look awesome! I think I might add The Little Women Letters to my reading list! I've enjoyed Wings, but haven't read Spells and Illusion. I really have to read the rest of the series. I'm reading Little Women Letters at the moment. I haven't had much reading time this weekend, but I plan to get stuck in properly tonight! Hey! New follower stopping by! I've only read Wings, hope you enjoy the new book. We got Insatiable last week too! 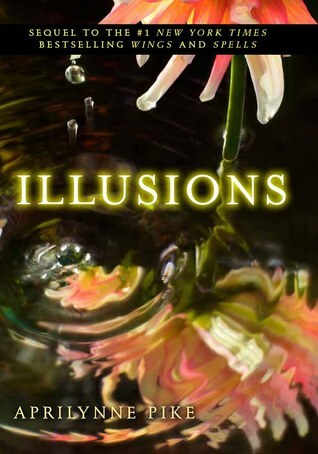 Oooo Illusions. I'm envious :) Enjoy! I'm still not sure if I want to read The Little Women letters yet! I'll be waiting for your review! I LOVE Meg Cabot (the Mediator & Princess Diaries & Heather Wells series are my favourites) but I'm not really a fan of Insatiable, so be sure to give the others a try if you don't like Insatiable! But I hope you enjoy all your new books! Insatiable is one of my FAVORITE vampire books. It's so hilarious but also has romance- very suspenseful. Enjoy all your great books! Yay! You received The Little Women Letters!! Lots of good talk going around about this book! !